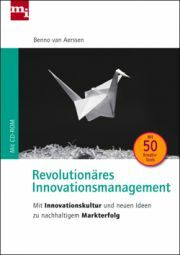 Benno van Aerssen was the first author to describe a method which can help a team or company establish a lively innovation culture and to train idea finding. This section of the website provides you with initial information about his "FRIES" method, as well as the importance of an innovation culture. Companies with an innovation culture take quicker and more effective action, which gives them a competitive advantage as they can develop and deliver best-performance products, services and processes in a short space of time which enthuse customers. Innovation describes a so-called state of wealth - a wealth of confidence and creativity, as well as friendship and cordiality - a wealth of future, of power and energy to get going. Using the "FRIES" method, you provide your company with sustainable increasing long-term success, create a very good working environment and reduce costs in places you aren't even aware of yet. 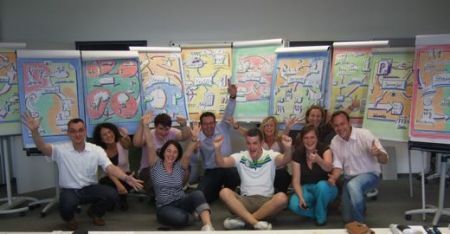 The guarantee of success for all measures met is for the management team to participate in an innovation coaching beforehand. If you have been following the economic developments of the past few years then you will not have missed that attempts to make companies more productive through interesting management approaches have always failed if they were simply planted on an existing culture of deep distrust or competitiveness. Measures to develop an innovation culture are only successful if, at the same time, the company works towards created a fear-free, trusting, performance-oriented and goal-accountable working climate. Only in an environment of mutual respect are people capable of and prepared to show courage, responsibility and initiative as well as being experimental in order to become directly involved with improving market share and profit through innovative developments. "An organizational culture which is one of openness and trust is currently a first rate productive factor."